Most of us are willing to spend a little extra when having to find an outfit for an occasion, but with a bit of smart shopping you can quite easily source a lovely outfit, which doesn't break the bank. 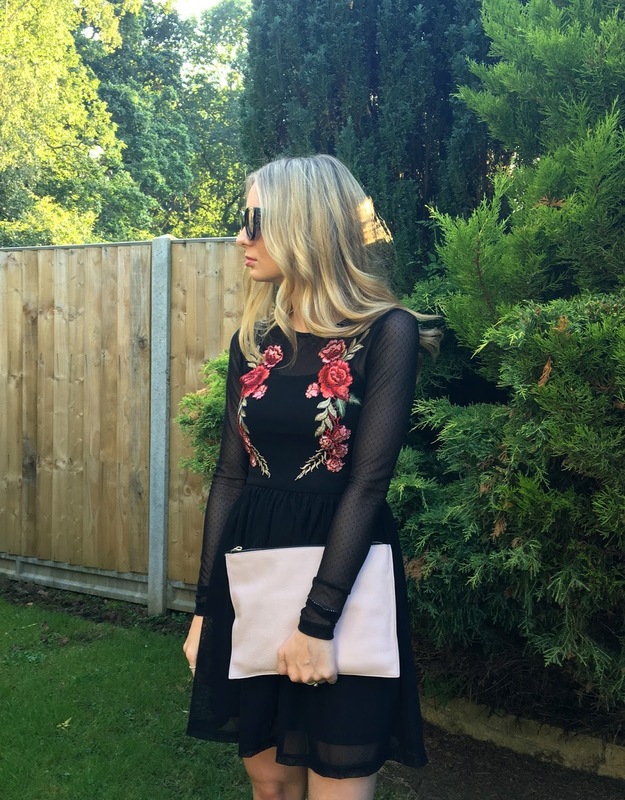 I recently purchased the embroidered floral dress from Zara (you may have seen this all over IG - everyone looks ace in it). I fell in love with it, but the fit was a tad to oversized for my body shape, so much to my despair I had to send it back. Whilst on the hunt for a similar style, I came across this amazing embroidered Glamorous dress which was a no-brainer. A well fitted 'skater dress' is definitely one of those styles that works for me. The new look heeled sandals are just fab, super comfy and available in a range of colours. I chose 'blush pink' for my accessories as it blends nicely with the shade in the dress and also, having a selection of accessories in neutral colours means that, although you are spending that little extra buying accessories to go with the outfit they will become a staple in your wardrobe and enable you to mix and match when styling another outfit. In total, I spent £62.59 on the outfit, which I'm really rather impressed with - especially since these days that's the price of one item. It's worth looking around for voucher codes to save a few pounds! *Post in conjunction with Ocean Finance - a project to help people style themselves for less this summer, without worrying about their finances.